The 4th batter in a baseball lineup is the Cleanup Hitter. 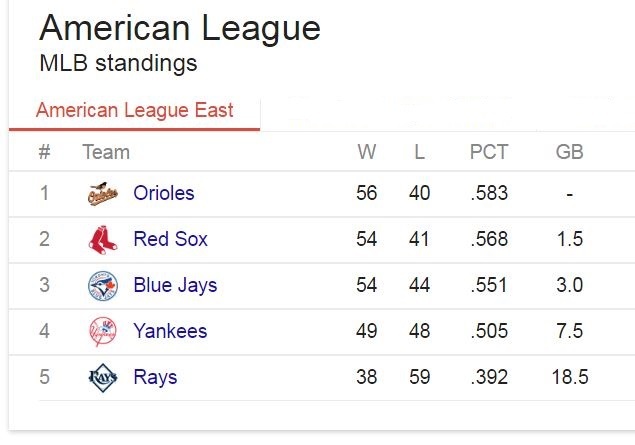 Today, the Baseball Bloggess celebrates its (her? my?) 4th birthday. 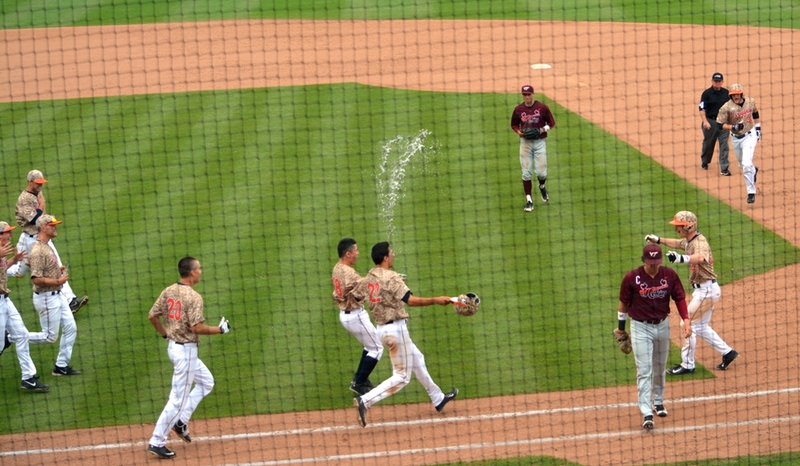 And, to celebrate, a bit of cleanup is in order. 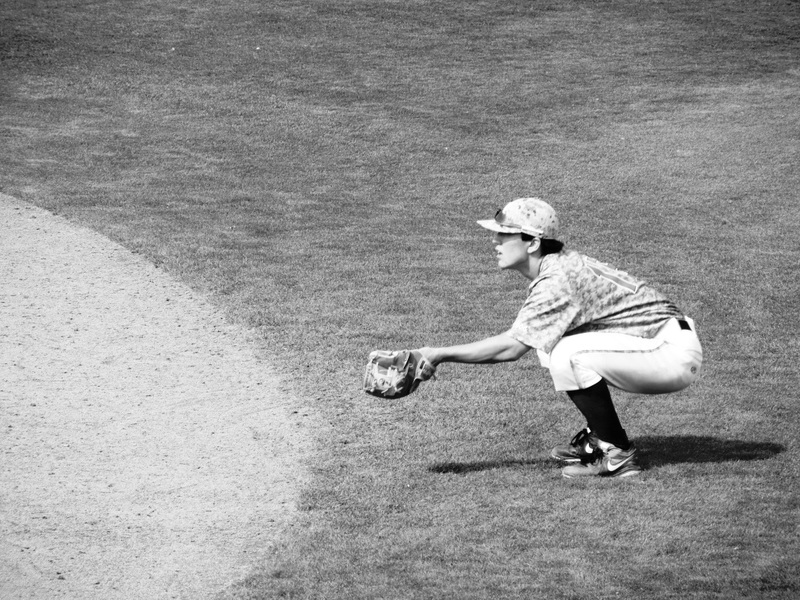 I take a lot of photos at ballgames. But, I’m trying to watch and score the game, too – so I don’t capture much of the action … no exciting steals of second, no miracle catches at the wall. There’s not a lot of dust kicking up in my photos. Most of the photos I take just sit quietly on my computer, in their folders, like the utility guy on the bench patiently waiting for a chance to play. So, here’s some cleanup – four recent photos that I’m sweet on, but don’t quite fit anywhere. 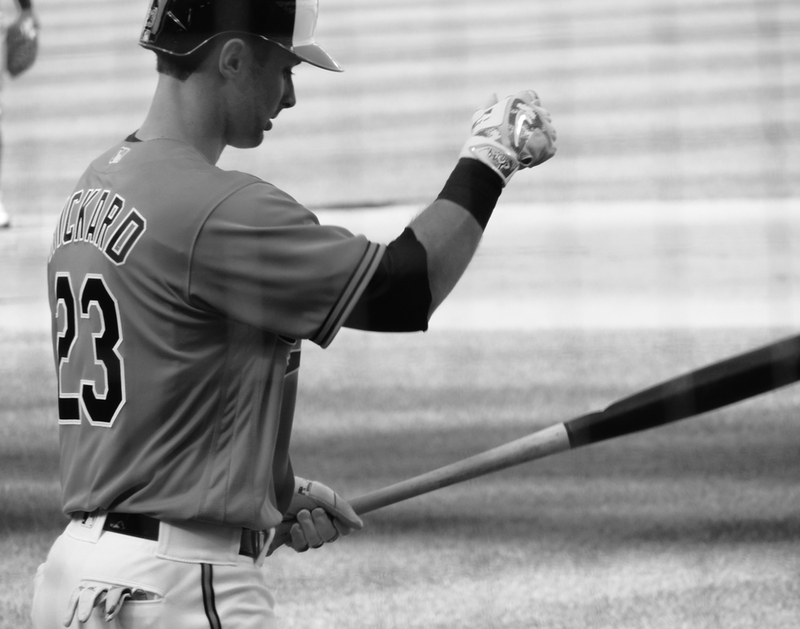 The Baltimore Orioles bats went cold this month. Power bats slump from time to time, and teams often slump together. 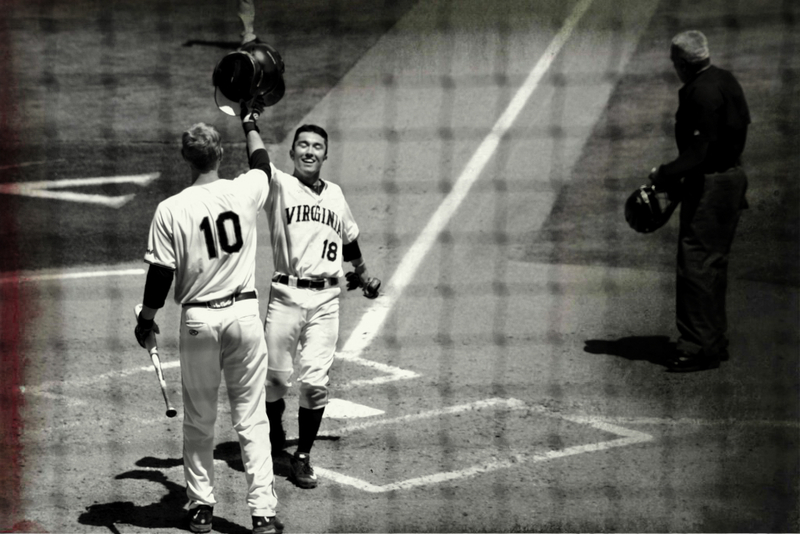 I think Rickard’s putting a spell on his bat here as he comes to the plate. Poor Joey went on the DL this week and is out for the next four to six weeks with a thumb injury. Heal up, Joey, the team needs you! Photo: Los Angeles Angels at Baltimore Orioles. Camden Yards, Baltimore. July 9, 2016. 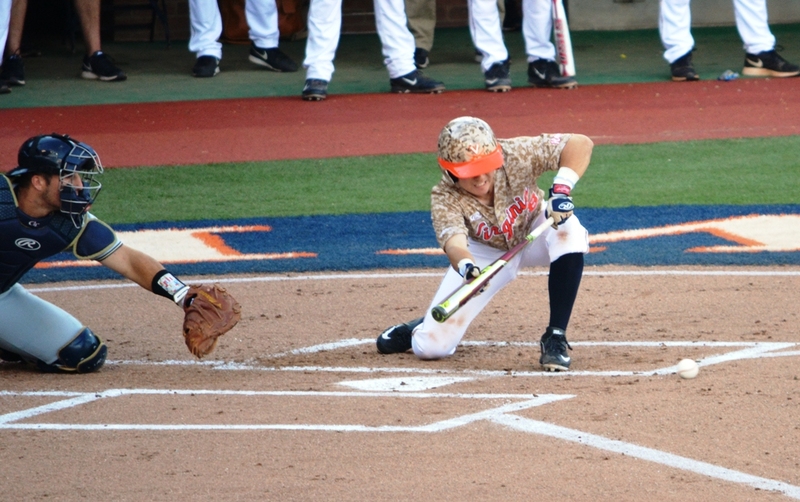 University of Virginia third baseman Justin Novak lays down a bunt. A few days ago I wrote about bunts and how much I love them. And, you all agreed! Photo: Georgia Tech at University of Virginia. 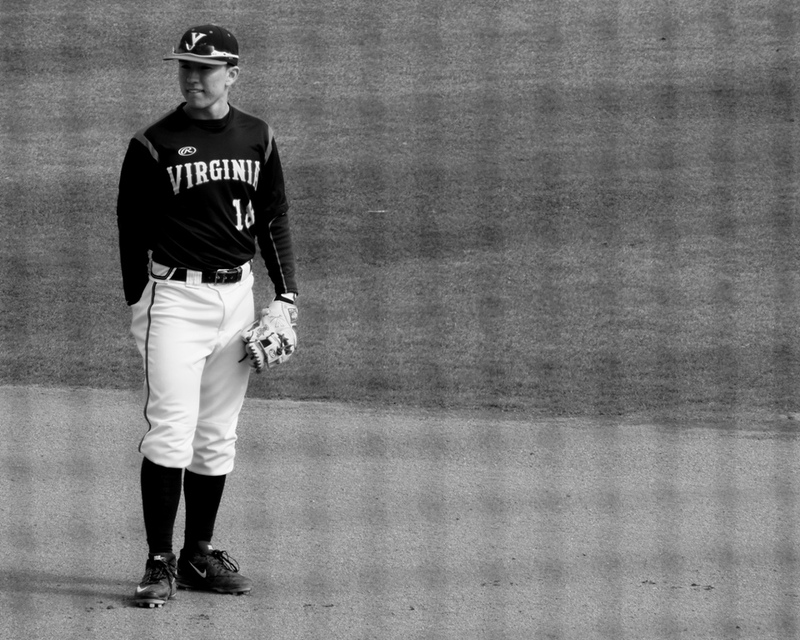 Davenport Field, Charlottesville, VA. May 14, 2016. 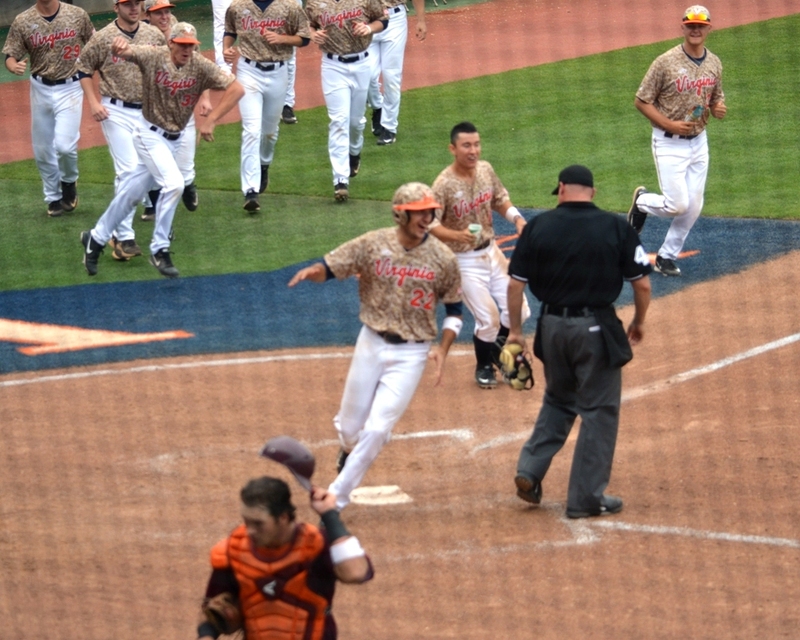 University of Virginia celebrating a run. 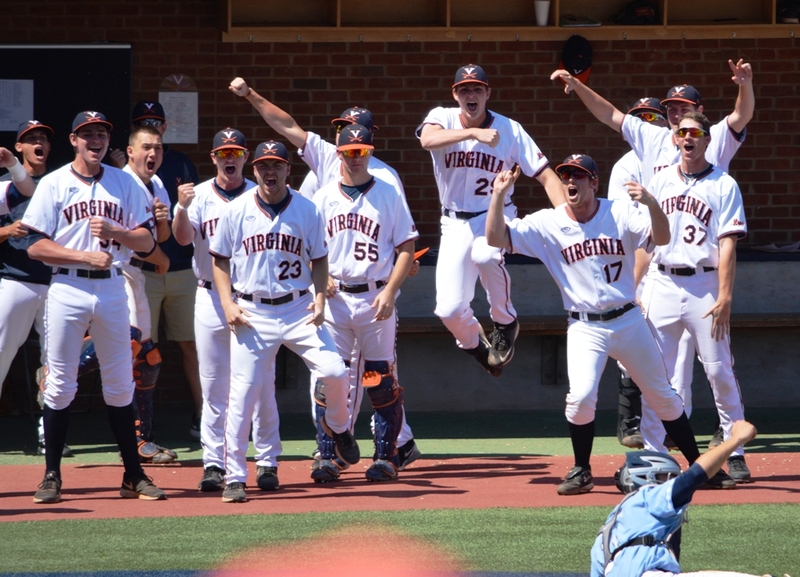 In a pivotal series against the University of North Carolina in April it looked like the University of Virginia had turned their season around. 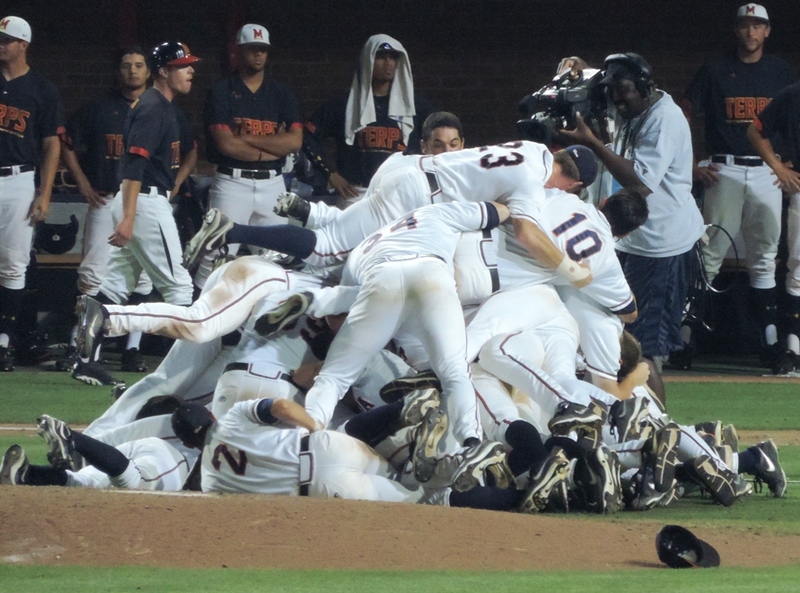 The turnaround got the Cavaliers to the NCAA Regional Tournament in June, but that’s where their season ended. Still, this photo is one of my favorites. Because … happy. That’s all. Just happy. Photo: University of North Carolina at University of Virginia. 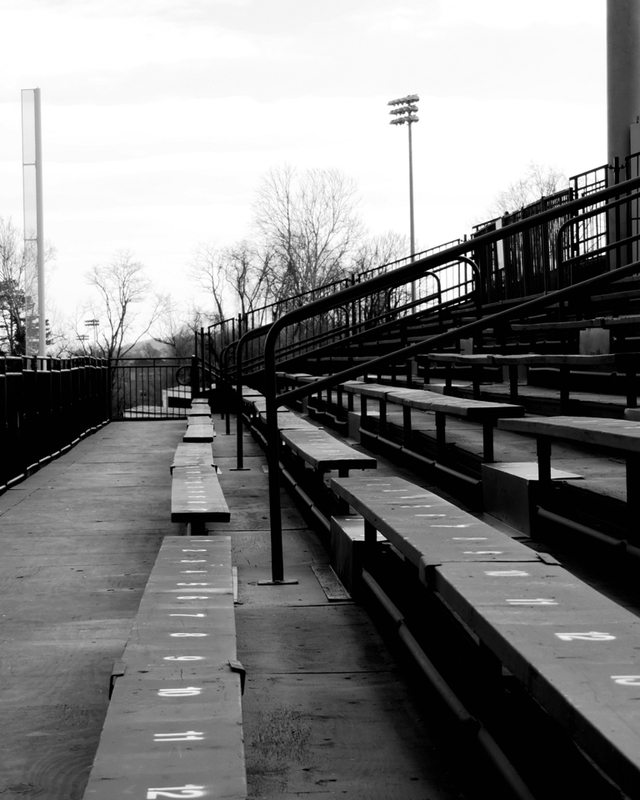 Davenport Field, Charlottesville, VA. April 17, 2016. There’s more to baseball than baseball. 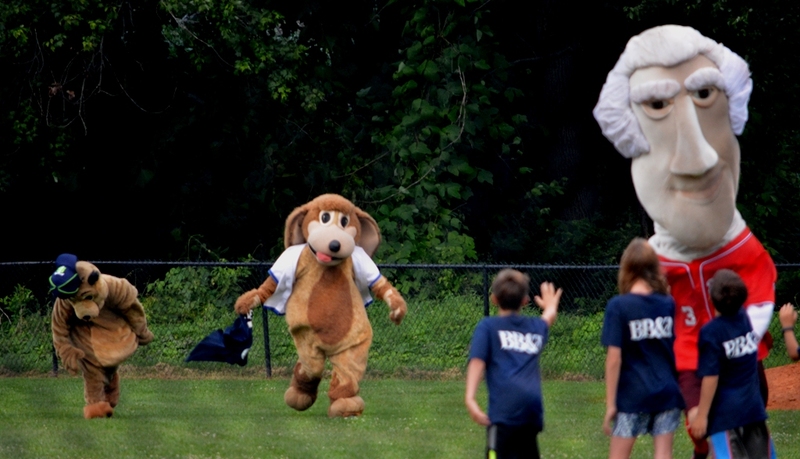 The Washington Nationals Racing President Thomas Jefferson visits Charlottesville from time to time and is here racing – or being chased by, depending on how you look at things – Cosmo, a sheepdog, and “Prairiewether Lewis,” a prairie dog, at a recent Tom Sox game. Photo: Covington Lumberjacks at Charlottesville Tom Sox. (Valley League) Cville Weekly Ballpark, Charlottesville, VA. July 7, 2016. But, on the bright side, I’ve still got five years to figure out how to use the video camera on my six-year-old Droid phone. 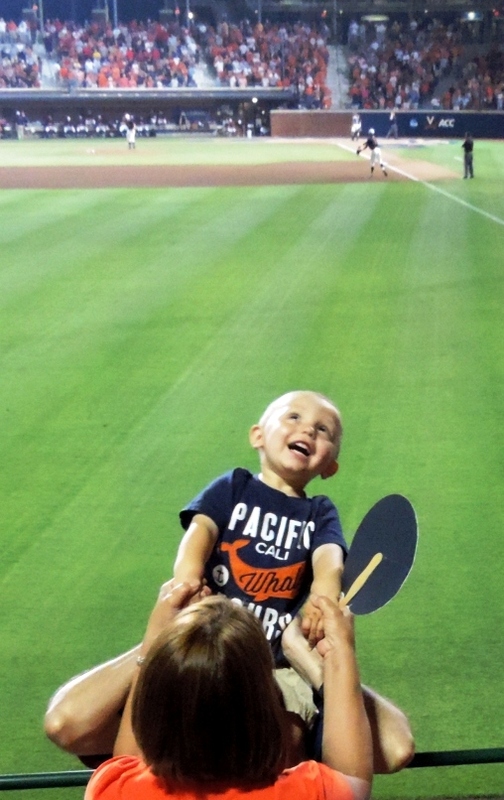 Happy Birthday, Baseball Bloggess … here’s to four – and, apparently, only four – more years.